When you consider the purchase of new floor polishing tools, which attributes do you weigh most heavily? 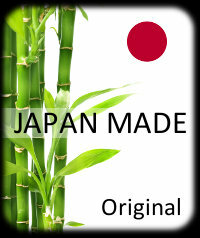 We like to factor together various qualities to create a total product "balance." Since floor polishers are often used continuously and sometimes under extreme conditions, we emphasize a great deal on the product's durability; handiness and ease to use simple structure and yet total factor must have good balance in order to fulfill your duty effectively. A floor polisher is a universal product in that it can be used in any part of the world. Therefore, we have ensured that the structure of our polisher is simple and the machine, very easy to use. There are various steps associated with proper floor maintenance; your machine should cover them all. Our polisher cleans with chemical detergents, shines with wax, and switches from brushes, to diamond polishing pads easily: all your floor work can be done with just one machine. Floor polishers should be able to adapt to changing situations. Our polisher is designed for use in a variety of commercial spaces. 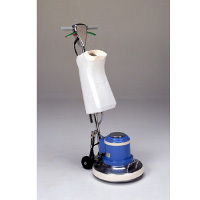 By attaching a larger head, the polisher can get tackle wide areas such as department stores, airports, factories, conference centers, and gyms. For further versatility, we also offer a model that does not require a water tank. Why choose our floor polisher? Since you are going to use this machine for a long time, please compare with other company too. We will quote best price along with dedicated support. Don't forget, we have involved in stone restoration business for more than decade, we will provide plenty of tips about polishing all kinds of floors. We are proud to say that many of our customer say that our floor polishing machine have much longer life compare to other company's floor polisher. We do have spare parts for this polisher but we seldom have chance to dispatch them to our customers. This floor polishing machine does not make sound noise as you might imagine. So no problem for using in residential area too. We have applied universal design with light weight body. You don't need to use over weight floor polisher. When you restore granite or marble floor, you might need to put additional weight on the floor polishing machine. If turning power lack, floor polishing machine eventually stop. No need to worry about this kind of phenomenon for our floor polishing machine. For details about floor polishing pads suit to granite and marble, see this page.